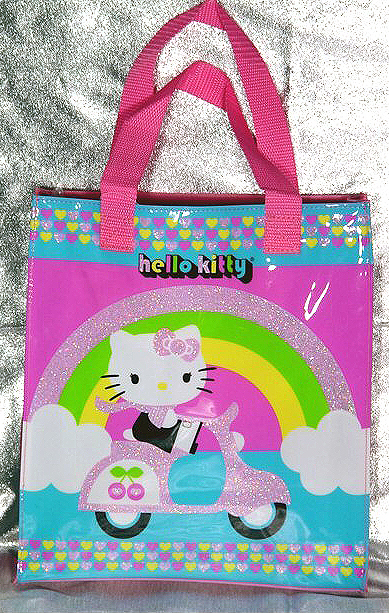 Newish Hello Kitty Glitter Bag! While trying to help a fellow Swag-ette find a Hello Kitty Scooter Bowling Bag, I came across this one. Not sure where you can find it but it does seem to occasionally come up on eBay. Maybe it’s enough to know that it exists in our universe. Go go Hello Kitty!. This entry was posted in Bags by Tracy. Bookmark the permalink.